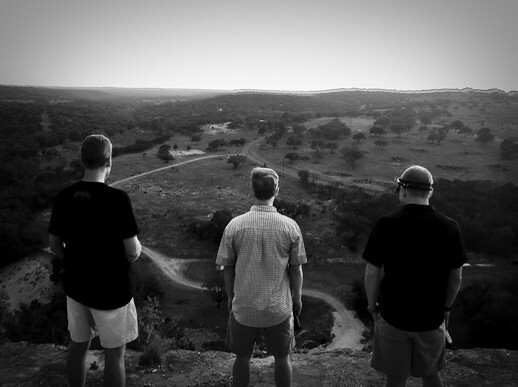 Every year I take a trip with my college friends called ‘Fandango.’ Many times those annual escapades find us in the Texas Hill Country. It’s a place where we, as young, bright-eyed students at Baylor University, gazed at night skies dancing with stars, floated in tire tubes on the oh-so-wonderful waters of the Guadalupe River and swapped dreams with one another as we enjoyed the finest of cuisine we could throw on the grill. It was perfect years ago and still perfect today. But what ‘makes ‘ the trip isn’t the beautiful scenery. That’s only the icing on the cake. The cake is the friendships. I believe great friendships, like great teams, are forged. Time, experiences (both good and bad) and love make the best ingredients for true friends, but in a world where we find ourselves increasingly isolated it seems those elements are in short supply. We far too often waste our days settling for the cheap, thin, pseudo-community in cyberland where we can give people what we want, take the same and close it down with a click. Is it evil? I don’t think so. But it surely isn’t a replacement. I’d argue, for many, it’s a weak and soul-shrinking diversion to what really matters. Blessed is the man who has friends on the inside. Friends on the inside know you better than you know yourself. They are the safest people in the world, not because they won’t tell you the truth – they will – but you know without a shadow of doubt they’re in your corner rooting for you to do well. They love you and don’t mind telling you they do. They are the folks you talk to when you can’t talk to anyone else. They pray for you and don’t have to be prompted to do so. They get angry at your stupid choices because they really do care. They’re vested in you. To be with them is like breathing oxygen. You need it. They need it. It makes life all the sweeter. So, maybe for some, that demands turning away from the computer to the phone in order to reconnect with that most precious of commodities – friends on the inside. Call them up. Make a date to meet up somewhere to share hugs, stories and hopes. You’re only getting older, and every year that passes is one less year to be together. Make an effort in this season of your life to be as intentional with inside friends as outside friends. Believe me, it’s very worth it! Loved your article and the picture from Big Bluff. Love your article and the picture on Big Bluff. Well said. More precious than gold.